You only get the best and most innovative from Honshu! 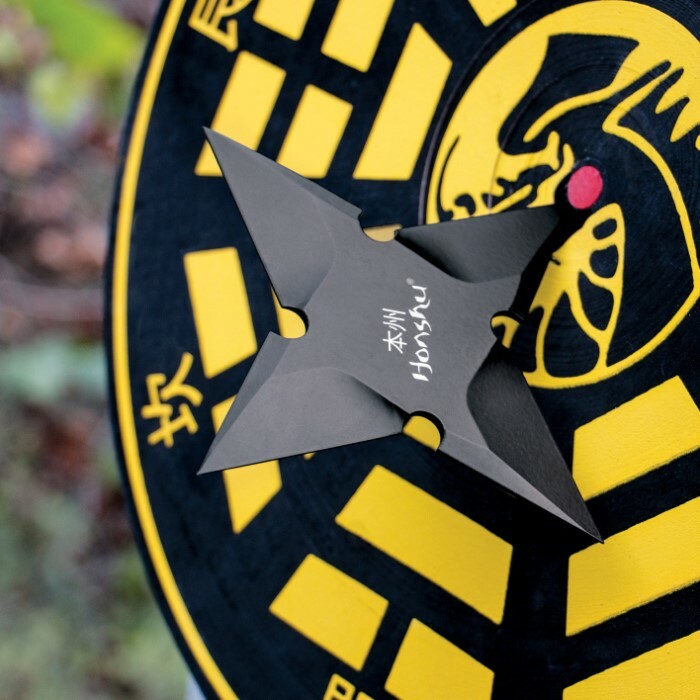 Perfectly balanced, this throwing star also has a sleek and modern look. Constructed of 1055 high carbon steel with a black oxide coating, it's 5 1/2" in diameter. A sturdy nylon sheath with a belt loop completes the package. Good Addition to the Arsenal. Good quality steel could easily be sharpened. 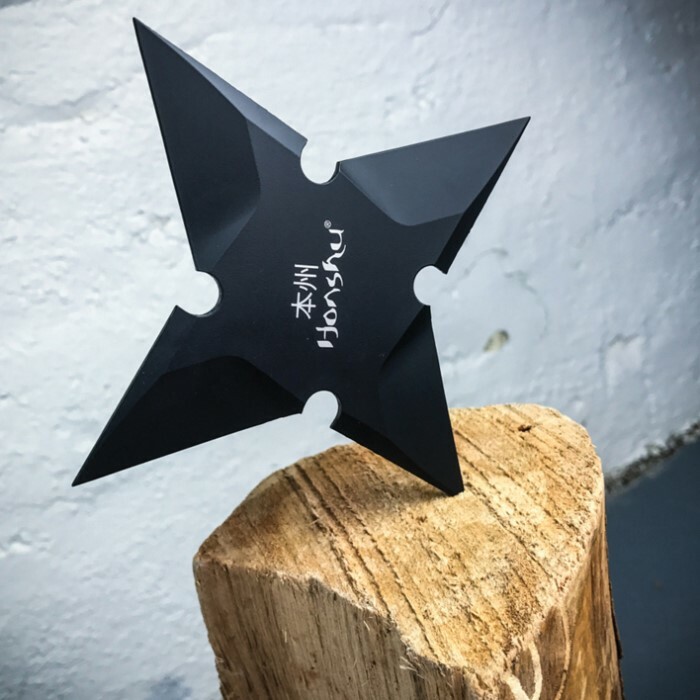 Enough weight for good penetration depth….But, I am a little disappointed that they would go thru all that trouble to make such a good looking throwing star to ONLY put a tapper on one side. Yup, flat nothing…..But with a little time on the grinder I’ll fix that! Decent, easy to throw star. The very tip on one of the points broke after it bounced off a target and hit concrete but with some grinding was able to bring it back to a point. It's just a bit shorter. Other than that, it's a fun thrower. I tried it out works perfect On Target never miss Deep Impact perfect throw recommend people to purchase this item all 10 of them that I purchased had no flaws perfectly balanced. 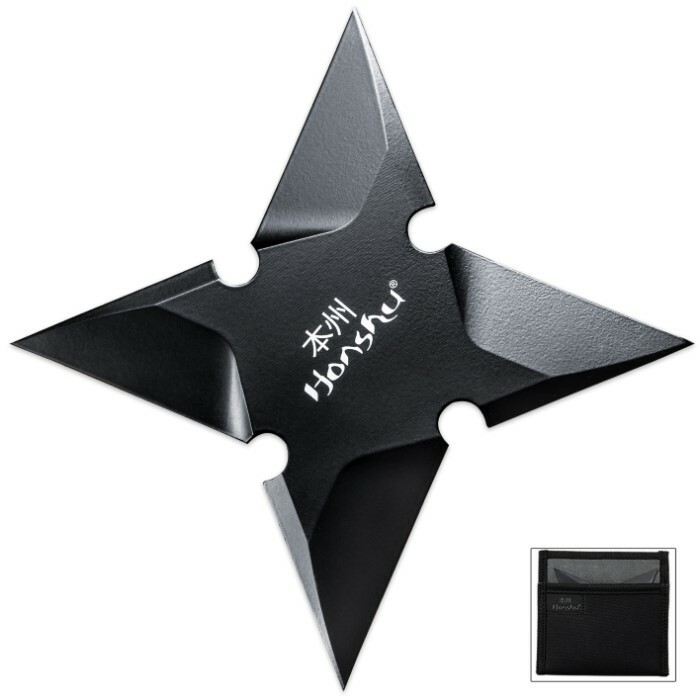 I've used a lot of shurikens in my lifetime. These are pretty decent. They aren't sharp, but with any effort they can be (I did sharpen mine and they hold an edge better than I thought they would). As far as throwing them anyone can make these stick without almost any effort. Want something better? Make your own. Want something decent for a good price? These work fine. Ok, so I just got these in (I ordered three) and I was almost disappointed. No edge at all. But then I threw one. Stuck perfectly with the first throw. The weight is perfect, and the spin is awesome. Im blown away. Thanks budk and thanks honshu. Definitely a must have for anybody looking for a good throwing weapon. To begin, I have no prior experience with any type of throwing stars. I was looking for different items to get myself for my birthday and this caught my eye for several reasons. First was the 1065 steel construction. 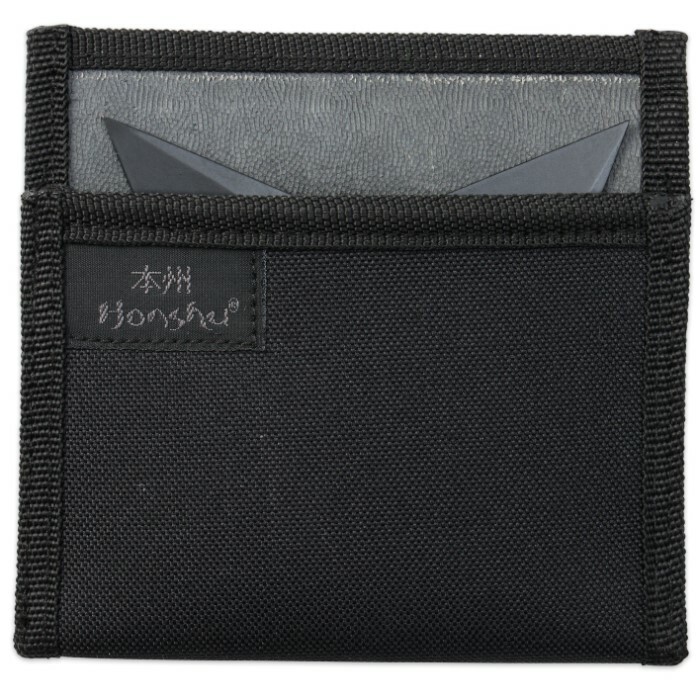 Next was the Honshu brand. And lastly I liked the size. 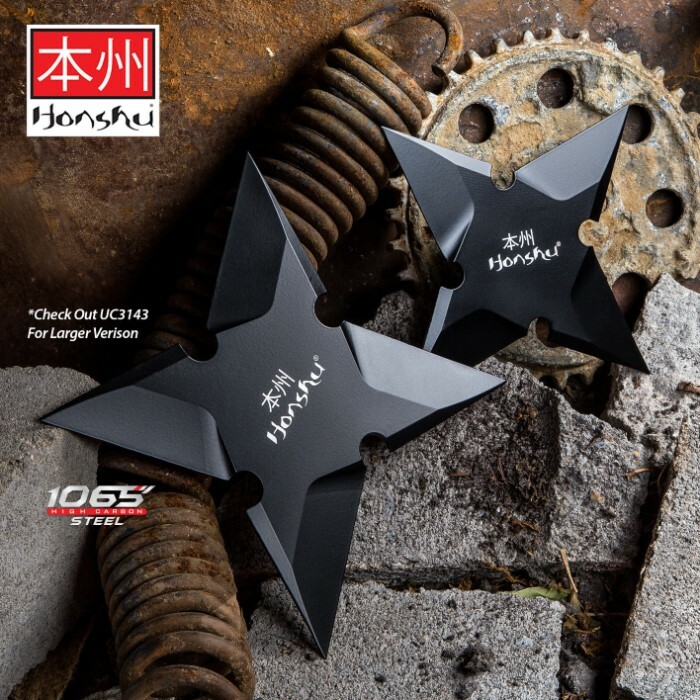 The star comes in a United Cutlery/Honshu retail box and was well packaged inside with moisture resistant packs. As the other reviewer notes, the edges are not sharpened. After learning a few pointers from a friend on how to throw, I gave it a try and loved how the size and weight made it seem easy to put it on target. For me, I think it was well worth the money. There are no sharp edges on any of blades on this star. Just points. Ok for the money. 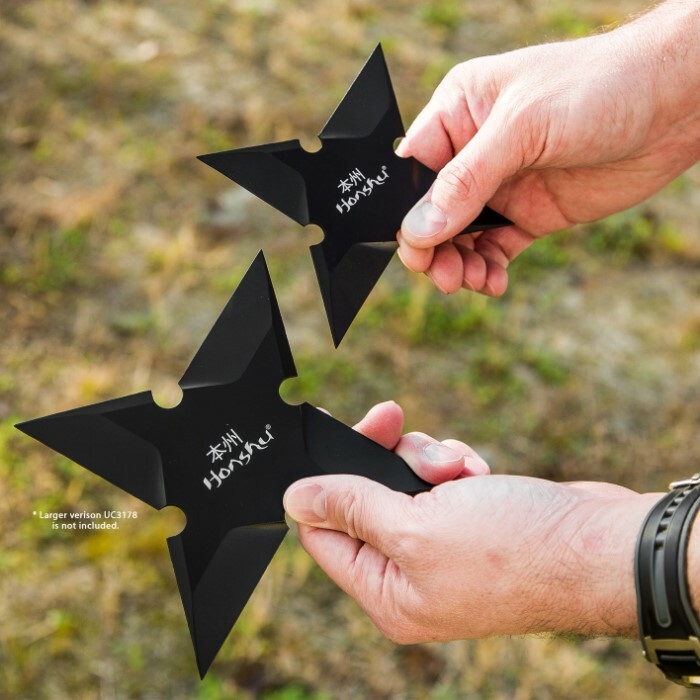 Most of my other Shurikens are sharp on all edges.